What isn't there to love? 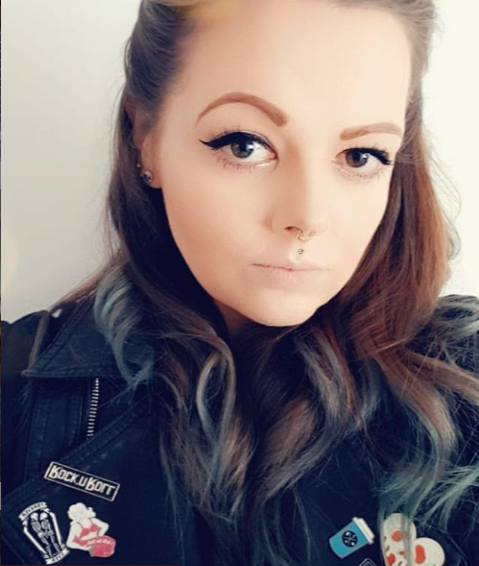 She's gorgeous, funny and couldn't give a toss what peoples opinions of her are! 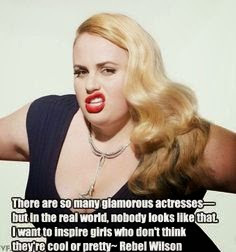 So here are the reasons I love Rebel Wilson. Don't look like Katy Perry? Who cares! Rebel tells girls to love themselves for who they are. She's looking to put body shaming to bed and all I can say is HELL YES. No matter what interview you watch with Rebel she's always hilarious. She's been on loads of talk shoes to promote films and she always comes across brilliantly. She's always up for a jest and her outfits are always a talking point. Move over Gaga! Yup! Not only is Rebel an amazing actress she has actually got a degree in Law! Can you imagine her in a court room? I'd want her on my side for sure. 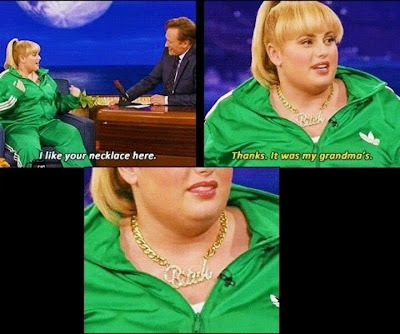 Let's face it, there isn't one of us who dislikes Fat Amy. She's amazing! She's such a fun loving, genuine and carefree character. I think inside every girl is just a little bit of Fat Amy trying to get out! She doesn't care about taking fashion risks! 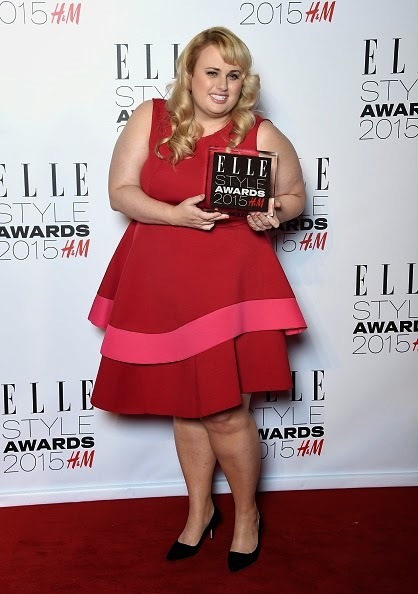 From hot pink poodle slippers to looking show stopping at red carpet events, Rebel rocks it. She is living proof you don't need to be a size 0 to look awesome. I can't help but adore Rebel. I love every film she's been in and I think she's an amazing role model in a world that is obsessed with how it looks. If your still waiting to see Pitch Perfect 2, you really need to head out and see it. It's really funny and totally worth seeing on the big screen!